Can’t shake that nagging, guilty feeling that you should have dragged your bum up the stairs every time you take the lift? 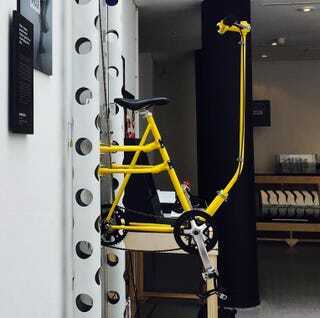 Then you’re in luck, because Vycle creators Elena Larriba and Jon Garcia have come up with a pedal-powered lift alternative that helps you get in shape as you travel between floors. Like a bicycle, the Vycle has a gearing system that makes it relatively easy to carry your own weight between floors by just pedalling. If passengers are in a rush, or want to put more effort into their brief workout, they can choose different gears to change how quickly they ascend or descend. Although if you’re on your way to a meeting at work, you probably don’t want to work up a heavy sweat.